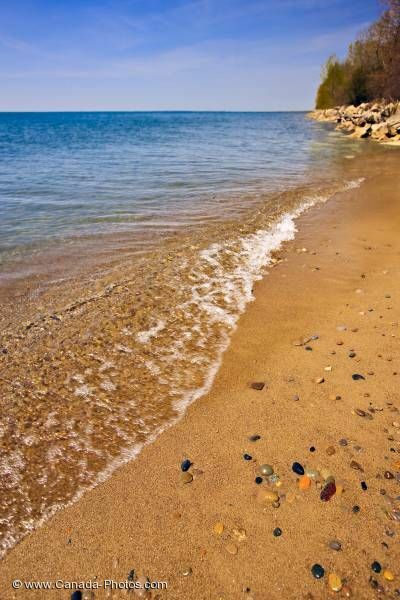 A sandy beach dotted with colourful pebbles marks the southernmost point of mainland Canada. These scenic shores of Lake Erie are in the Point Pelee National Park near the town of Leamington, Ontario. Shores of Lake Erie at the southernmost point of mainland Canada in Point Pelee National Park, Leamington, Ontario, Canada.